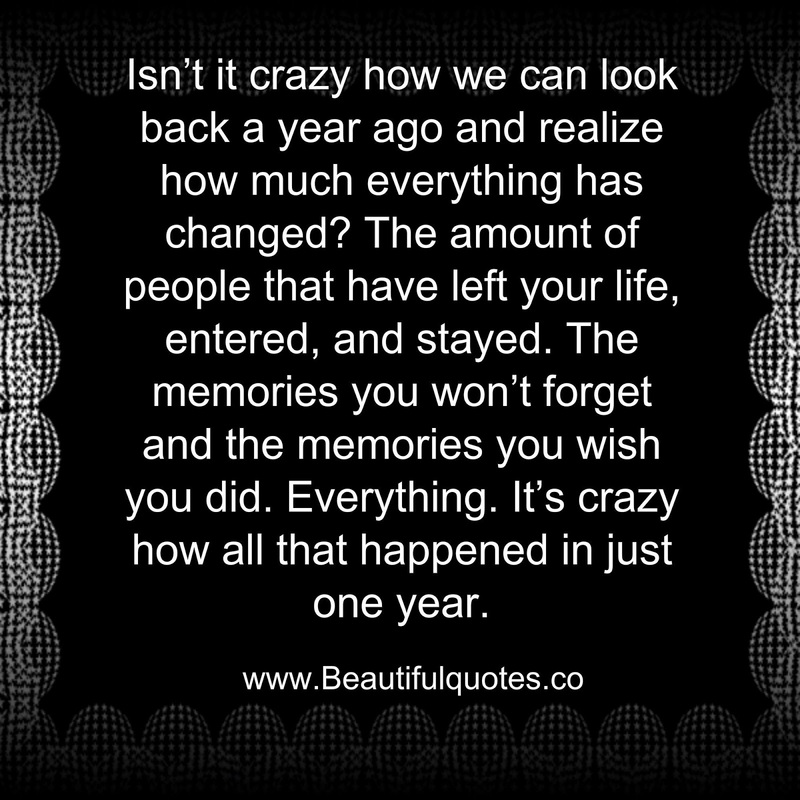 google-site-verification: google8d8438b214143f71.html Beautiful Quotes: It’s crazy what a year can do. It’s crazy what a year can do. Isn’t it crazy how we can look back a year ago and realize how much everything has changed? The amount of people that have left your life, entered, and stayed. The memories you won’t forget and the memories you wish you did. Everything. It’s crazy how all that happened in just one year.